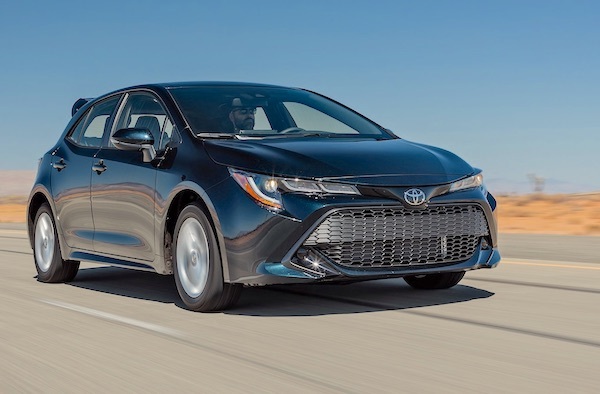 The new hatch helps Corolla sales up 19%, and Toyota up 9.9%. It’s another month of decline in Canada with October sales down 1.6% to 162.052: the 8th consecutive year-on-year drop and 10th in the past 12 months. This is the first such streak of negative months this decade, that brings the year-to-date volume down 1.4% to 1.734.583. If confirmed by the time 2018 comes to an end, this would be the first year since 2010 that light vehicle sales drop year-on-year in Canada. Yet a second annual (and ever) 2 million score remain achievable, with BSCB predicting 2.013.000 units by year end. According to local consultancy Desrosiers whose figures are slightly lower due to the absence of some luxury brands such as Tesla, light trucks edge back into positive at +0.2% to 115.688 and 71.8% share vs. -6.9% to 45.437 and 28.2% share. This is the second highest ever light truck share in Canada below the 73.2% hit last January. Year-to-date, light trucks gain 2% to 1.217.079 and 70.5% share vs. 67.9% over the same period in 2017 but passenger cars sink 9.4% to 509.956 and 29.5% share vs. 32.1% in 2017. The Hyundai Kona is by far the most popular recent launch in Canada, helping Hyundai up 12%. The groups ranking gets a good shake: General Motors (-12.9%) steps up to first place despite posting the steepest decline in the Top 5, now distancing Toyota Motor (+10.2%), September leader Ford Motor (+1.6%), Hyundai-Kia (+7.7%) and Honda Motor (-7%). In diametral opposition to its US performance, FCA freefalls 14.5% to 6th place in Canada, with Jaguar Land Rover (+14.2%), the Volkswagen Group (+4.8%) and Nissan Motor (+3.1%) the best performing of the rest of the groups. Brand-wise, Ford (+0.5%) only edges up ahead of Toyota (+9.9%), Honda (-8.7%) and Chevrolet (-15%). Hyundai (+12%), Lexus (+11.6%), Subaru (+11.1%) and Ram (+10%) are the only Top 20 carmakers posting double-digit gains, while Nissan (+7.7%), Acura (+6.9%) and Volkswagen (+6.3%) are also strong and among smaller marques Genesis (+175%), Tesla (+100%), Fiat (+60%), Lincoln (+48.9%), Land Rover (+20.9%), Bentley (+20%) and Porsche (+19.5%) perform best. 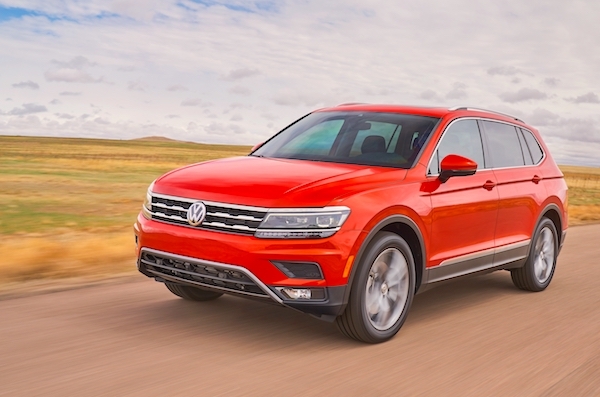 The VW Tiguan surges 53% year-on-year in Canada. The two best-selling nameplates in Canada are identical to the neighbouring USA: the Ford F-Series (+3%) and Ram Pickup (+9%) while the Honda Civic (-3%) remains by far the most popular passenger car and the Toyota RAV4 (+19%) dominates the SUV segment. The GMC Sierra (-7%) and Chevrolet Silverado (-17%) struggle but make it four full-size pickups in the Top 8 whereas the ratio is 4 in the Top 5 year-to-date… The Honda CR-V (-14%) is also in difficulty and sees its title of #1 SUV YTD in jeopardy from the RAV4, now less than 600 sales below. The Toyota Corolla (+19%) is boosted by the new generation hatch up to #7, distancing the Hyundai Elantra (-8%) to rank #2 passenger car. The VW Tiguan surges 53% to #13, with the Honda Accord (+118%), Subaru Forester (+57%), Kia Forte (+50%), GMC Terrain (+46%), Nissan Qashqai (+43%), Toyota Tundra (+40%), Jeep Grand Cherokee (+39%) and Chevrolet Cruze (+27%) also standing out in the Top 50. 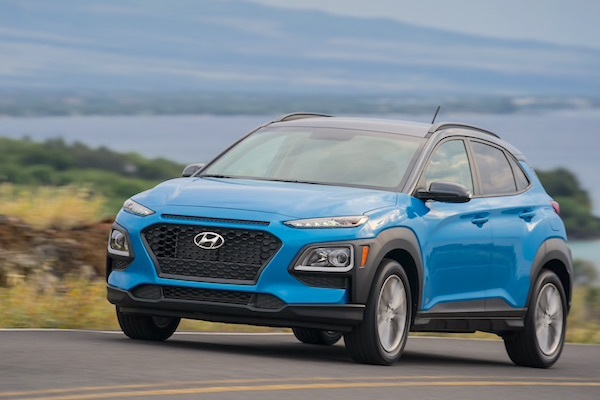 The Hyundai Kona (#26) is by far the most popular recent launch (<12 months) ahead of the Nissan Kicks (#67), Tesla Model 3 (#68) and Ford Ecosport (#77). Full October 2018 Top 15 groups, Top 37 brands and Top 250 models below. Canada March 2013: Dodge RAM at highest in over 3 years!